The great liturgist, Dom Prosper Gueranger, gives some thoughts about the significance of the Feast of the Epiphany for the Christian soul. 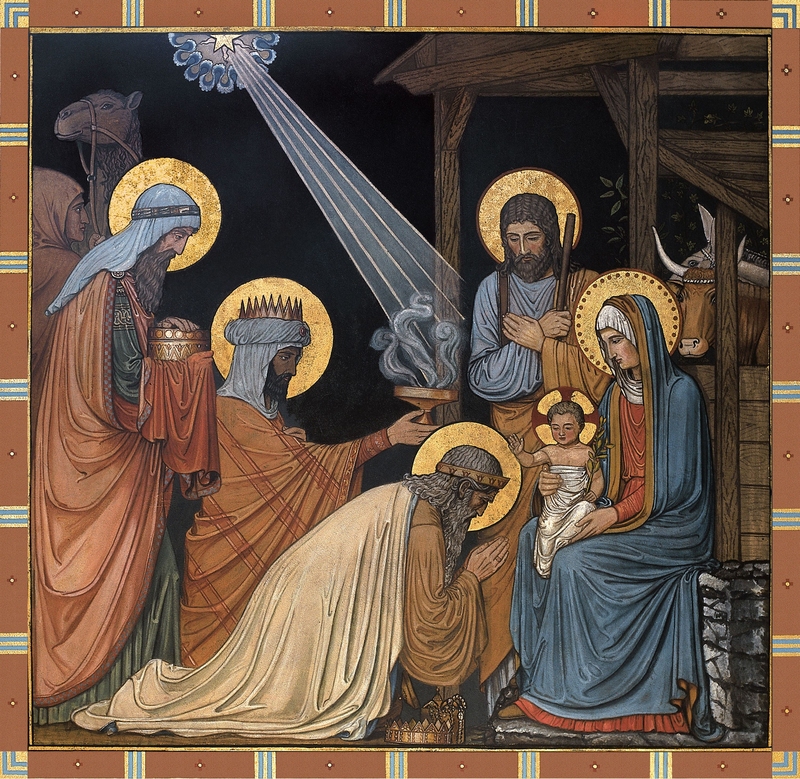 The Epiphany is indeed great Feast, and the joy caused us by the Birth of our Jesus must be renewed on it, for, as though it were a second Christmas Day, it shows us our Incarnate God in a new light. It leaves us all the sweetness of the dear Babe of Bethlehem, who hath appeared to us already in love; but to this it adds its own grand manifestation of the divinity of our Jesus. At Christmas, it was a few Shepherds that were invited by the Angels to go and recognize THE WORD MADE FLESH; but now, at the Epiphany, the voice of God himself calls the whole world to adore this Jesus, and hear him. Let us, then, open our hearts to the Joy of this grand Day; and on this Feast of the Theophany, of the Holy Lights, of the Three Kings, let us look with love at the dazzling beauty of our Divine Sun, who, as the Psalmist expresses it [Ps. xviii. 6], runs his course as a Giant, and pours out upon us floods of a welcome and yet most vivid light. The Shepherds, who were called by the Angels to be the first worshippers, have been joined by the Prince of Martyrs, the Beloved Disciple, the dear troop of Innocents, our glorious Thomas of Canterbury, and Sylvester the Patriarch of Peace; and now, today, these Saints open their ranks to let the Kings of the East come to the Babe in his crib, bearing with them the prayers and adorations of the whole human race. The humble Stable is too little for such a gathering as this, and Bethlehem seems to be worth all the world besides. Mary, the Throne of the divine Wisdom, welcomes all the members of this court with her gracious smile of Mother and Queen; she offers her Son to man, for his adoration, and to God, that he may be well pleased. God manifests himself to men, because he is great: but he manifests himself by Mary, because he is full of mercy. Source: “The Epiphany” by Dom Prosper Gueranger, OSB (The Liturgical Year, 1918). Epiphany is still a Christmas joy in thousands of families; and happy those where it is kept in the Christian spirit which first originated it!